About 10,000 teachers were busy at work this summer participating in Project Lead the Way’s Core Training program, which seeks to empower teachers to take a hands-on, project-based approach in STEM instruction. Source: Project Lead the Way. While students are still on summer vacation, thousands of teachers across the country are wrapping up a training program in interactive STEM curriculum. The program is from Project Lead the Way (PLTW), a nonprofit organization that provides STEM curriculum for K–12 students and teachers in more than 8,500 schools nationwide. 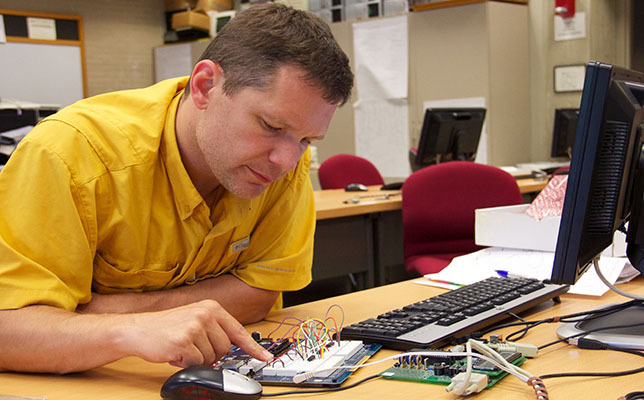 PLTW’s Core Training program aims to prevent “summer brain drain” for teachers by teaching them hands-on, project-based learning techniques to use in the classroom, according to PLTW. Many teachers were trained in PLTW Gateway, a program for middle school students to learn engineering, biomedical and computer science, while others were trained in PLTW Launch, a program that introduces K–5 students to STEM knowledge and skills and promotes critical thinking. 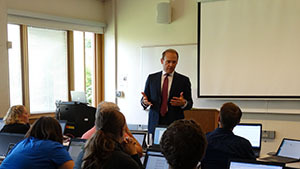 PLTW President and CEO Vince Bertram (above) hopes that the Core Training program provides teachers with a renewed enthusiasm for teaching STEM. Source: PLTW. The Core Training program began on June 6 and will be completed on Aug. 19. In total, there were more than 700 cohorts in 63 locations across the United States – training close to 10,000 teachers. “The best curriculum is insufficient without great teachers, and that’s why PLTW invests so heavily in teachers and partnering with them to ensure their success,” said Vince Bertram, PLTW’s president and CEO. More than 3,000 K–5 teachers were trained in PLTW Launch curriculum. “We hope these teachers begin the new year with a renewed enthusiasm for teaching and a new network of support from their fellow teachers across the country,” said Bertram. Further information is available on the PLTW site.